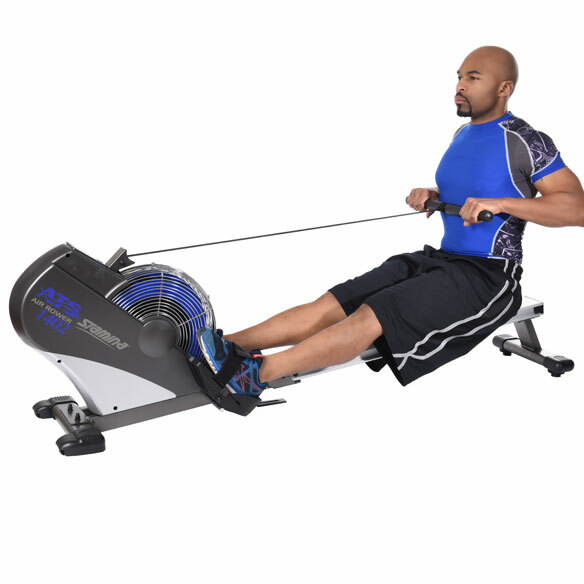 Condition and tone all major muscle groups with while minimizing impact to joints with the Stamina ATS air rower. 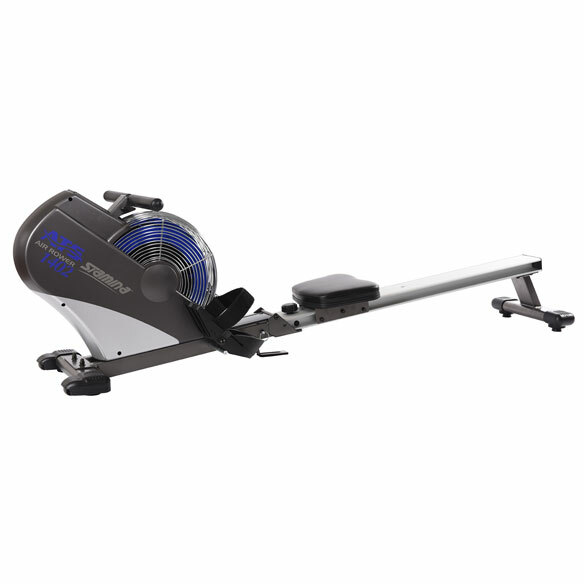 The built-in Air transfer System (ATS) adjusts resistance levels to match your rowing speed. As you row faster or slower, the resistance increases or lowers. Aluminum seat rail and padded seat ensure smooth sliding action for a true-to-life feel. Multi-function electronic performance monitor displays in-depth feedback with strokes per minute, total strokes, distance, speed, time and calories burned. Strong aluminum and steel frame includes wheels for portability and folds for easy storage. 73 1/2”L x 18 1/4”W x 22”H overall. Weighs 55 lbs. ; supports up to 250 lbs. No express shipping. Allow 2-3 weeks for delivery. BEST ANSWER: Thank you for your question. It measures 73 1/2”L x 18 1/4”W x 22”H overall. We hope this information will be of help to you.